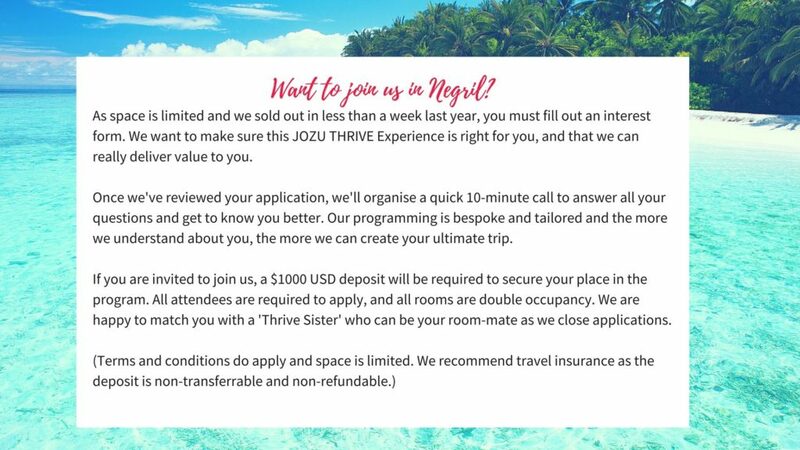 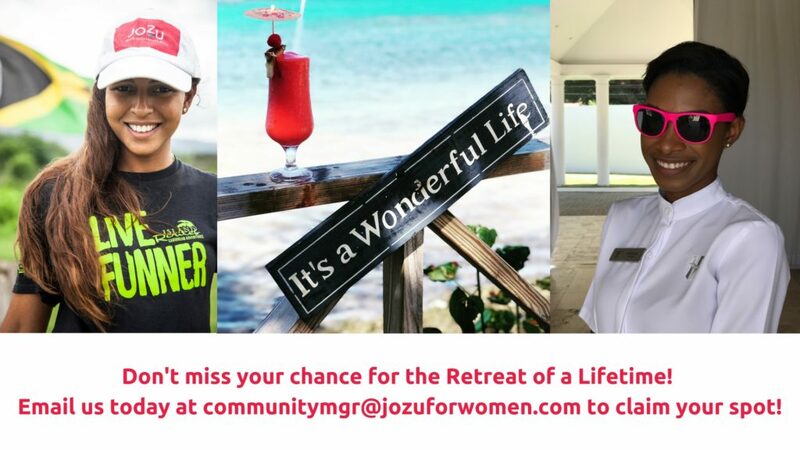 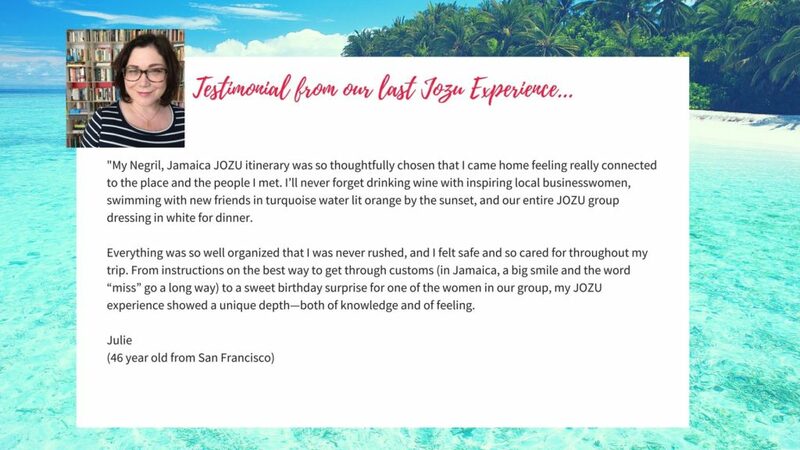 If you’ve been contemplating a girl getaway for next year, you won’t want to miss this awesome event – The JOZU THRIVE EXPERIENCE taking place in the Caribbean capital of casual – sunny Negril, Jamaica. 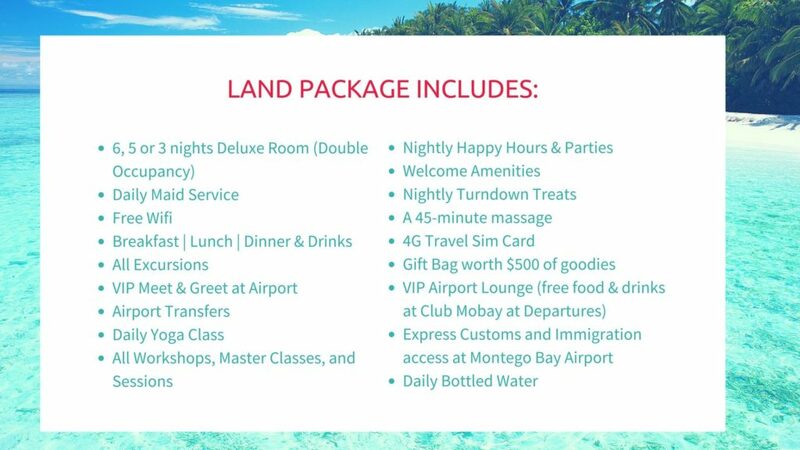 We’re taking over Sandy Haven Resort (luxury boutique hotel) and Travellers Beach Hotel (for the value conscious) both on Seven Mile Beach and we’ve got a fantastic program in store! 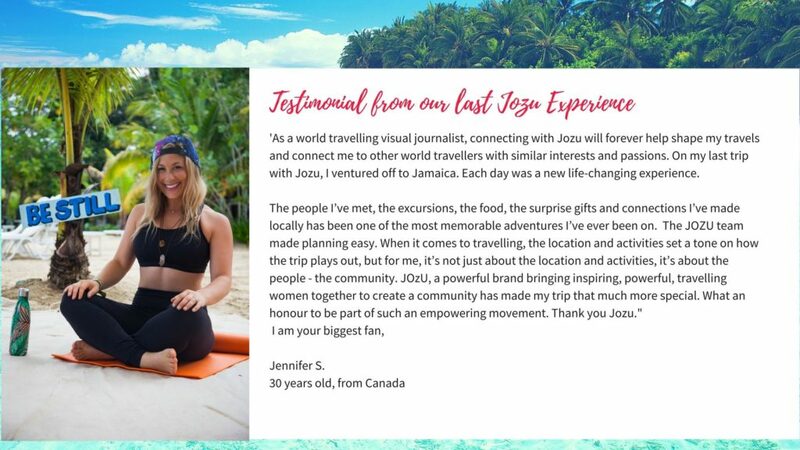 We’ve got some great speakers lined up including Jamaica’s own First Lady of Yoga Sharon Feanny who will be leading a Masterclass on Mindfulness and self-care in a busy world. 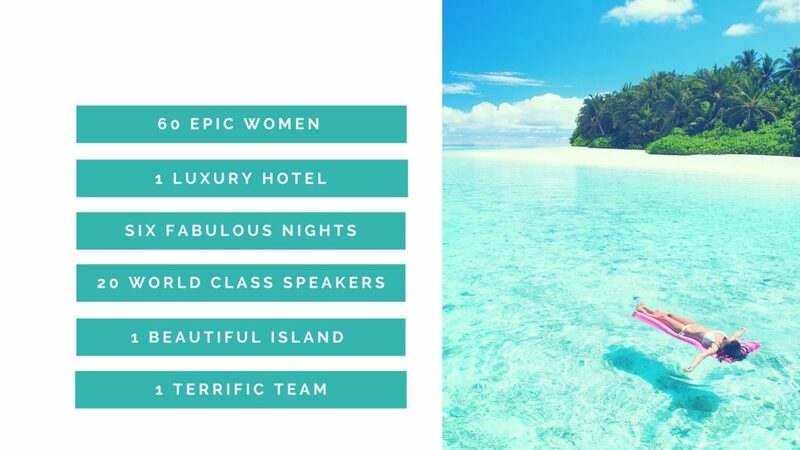 Columbiana and Reggeaton lover, Katherine Lugo, CEO of Luka Cosmetics, will share her inspiring personal story and tips for driving business success. 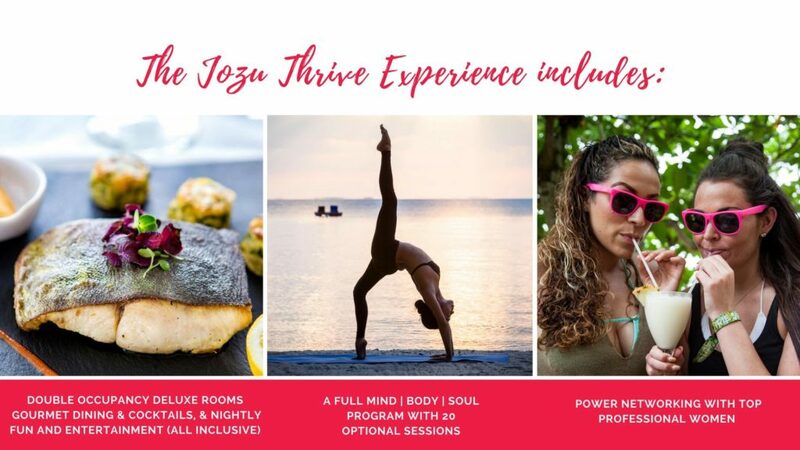 We’re delighted to have Jody Rowe Staley, Spiritual Intuitive LifeStyle Counselor/Coach from Miami leading an interactive Masterclass on personal passion and that’s just a few of the fabulous women you’ll get to know at the JOZU Thrive Experience.